The Central Mine Planning and Design Institute (CMPDI) has identified 30 new coal mining projects that can add to the annual production capacity of Coal India Limited (CIL) by 100 million tonnes. Reliance Energy, which supplies to 30 lakh consumers across the city's suburbs, said the discom has estimated the "peak demand for power in its distribution area is likely to cross the 1650 MW mark for April and May 2018". To expedite gas production from coal seams, however, the government had earlier permitted Coal India to mine CBM through a notification. 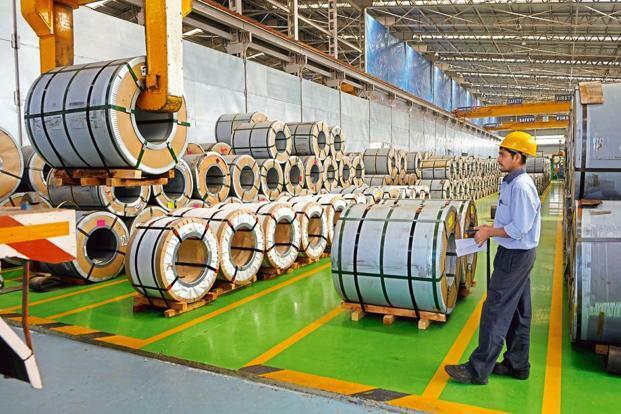 Ahead of the two-day trade talks between the US and India starting Monday, India is keeping its options open to join other affected countries in the World Trade Organization (WTO) against the steel and aluminium tariff hikes imposed by the Donald Trump administration, if it fails to secure an exemption. Coal shortage is still affecting the efficacy or capacity utilisation (Plant Load Factor) of independent power projects in the country, which may lead to a spike in spot prices of electricity on exchanges this summer, according to experts. Reliance Industries (RIL) has been asked by the Directorate General of Hydrocarbons (DGH) to relinquish two deep-sea satellite gas discoveries—D6 and D19—in the KG-D6 block, off India’s east coast after the company told the regulator that it had no immediate plan to develop these fields. PM Modi is learnt to have raised the cost factor as well as the wisdom of rolling out en masse a technology that is untested for Indian conditions and is mainly commissioned in high-speed systems in some global railways. The Ranchi railway station is set to get an image makeover and a boost in its infrastructure in the months to follow. Officials of the Ranchi railway division of South Eastern Railways (SER) are currently working on a blue-print for building a new façade of the station and its surface area development. The eastern power plants were dependent on South East Central Railway, which is already overburdened as coal is sent by it to plants in western and southern India. The company deployed more than 3,000 workers - about 88 per cent of which were local residents - for the project at the port, located 215 km from Bhubaneswar, between Haldia in West Bengal and Paradip in Odisha.